​Robust response to selected new projects sent new private homes sales volume soaring to 5,200 units, the second highest since the 5,578 units sold in Q3 09. CBRE’s estimate is based on the strong demand driven mainly by a large supply of around 5,500 new homes for sale during the quarter and partly driven by high liquidity and low interest rates. 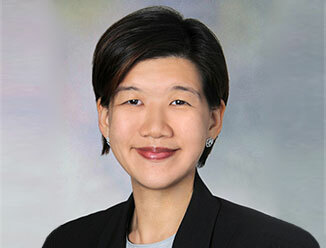 Li Hiaw Ho, Executive Director, CBRE Research said “This is the first time since the previous peak in Q3 2009 that the sales volume has exceeded 5,000 units in one quarter. It has been averaging 4,000 units each quarter for the past few years. This increase in sales is due in large part to the slew of projects featuring compact apartments that have flooded the market in recent years”. The smaller quantum of each unit makes compact apartments very affordable, providing a safe haven for investors who are keen to park their savings. The few projects that were fully sold in Q1 were Guillemard Edge (275 units, median price $1,215 psf), Casa Cambio (198 units, $1,390 psf), Millage (70 units, $1,350 psf) and Tree Scape (30 units, $1,400 psf). Buyers’ interest in Q1 2012 was project-specific, depending on location, proximity of MRT stations, product attributes and pricing. Attractive discounts and rebates offered by developers pushed sales numbers higher. As at end-February, the three top-sellers were Watertown in Punggol Central with 924 units sold (median price $1,250 psf), The Hillier in Hillview Avenue with 457 units sold ($1,325 psf) and Parc Rosewood in Woodlands with 577 units sold ($980 psf). Both Watertown and The Hillier are mixed developments comprising a retail mall with towers of residential apartments sitting atop. Watertown’s accessibility is further enhanced by its integration with Punggol Central MRT station while The Hillier is within walking distance to the future Hillview MRT station of the Downtown Line. Parc Rosewood is located in Woodlands, close to the American School and Singapore Sports School where there is a strong expatriate presence. Affordability was the main draw of this project because it comprises largely small-format units which were priced below $700,000 each. In tandem with the increased sales activity in Q1, the high-end segment also showed a pick-up in activity. The Scotts Tower, which carries the soho (small office home office) brand, reported 13 units sold between $3,311 psf and $3,680 psf; two units in Scotts Square were sold at $4,661 psf and $4,533 psf, and a unit in Skyline @ Orchard Boulevard was sold at $4,140 psf. Suffice to say that high-end prices were still holding even though transaction volume was thin. On 2 March 2012, the government announced that the proportion of ECs allocated to second-timers in the first month of an EC project launch will be raised to 30 per cent from the original 5 per cent. In the weekend following the announcement, 182 units in Twin Waterfalls (728 units) were sold to second-timers and around half of this number was sold to the same group at Tampines Trilliant (670 units). For the quarter, over 1,000 ECs were sold, out of the 1,864 units launched. We observed from the sale of recent EC projects – after a few rounds of policy fine-tuning by the government – that some 60 per cent of the buyers were second-timers, a reversal from the period before 2005 when some 80 per cent of the buyers were first-timers.